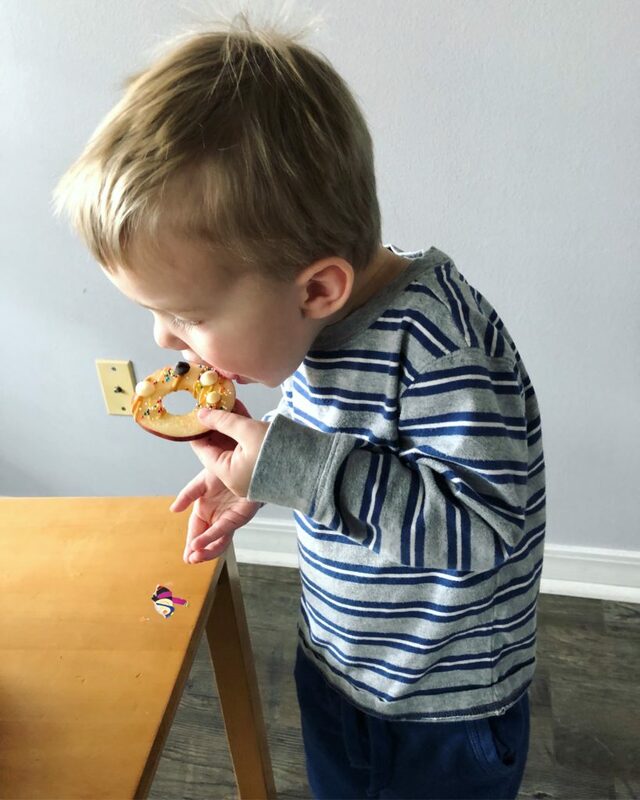 We made these apple donuts for our Super Bowl sweet treat and they were such a hit, we made them again a few days later! 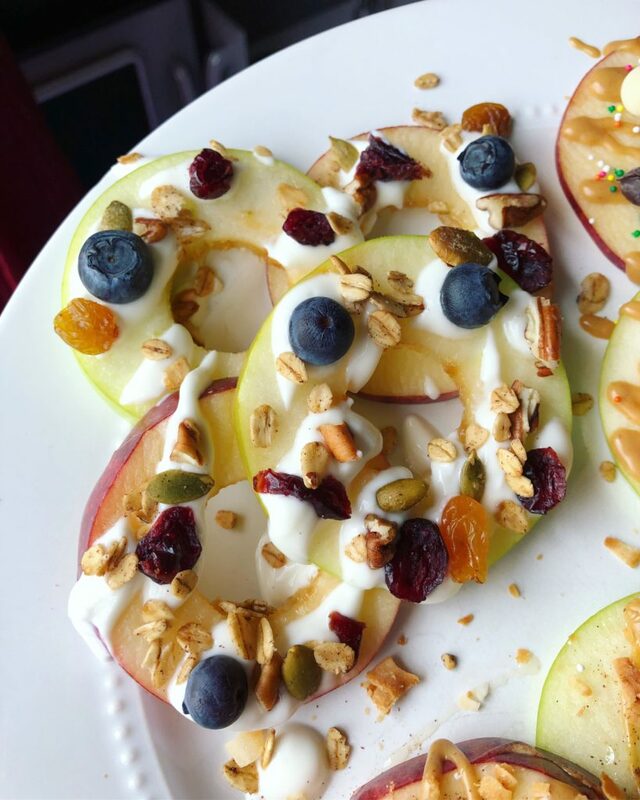 We love using fruit for dessert and these apple donuts are fun because you can dress them up any way you please! 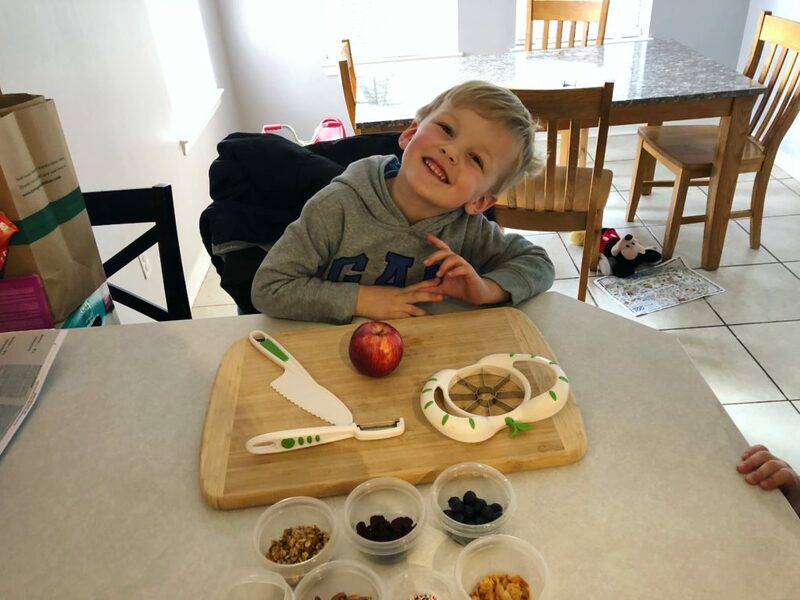 We recently got my 4 year old (he's a true foodie) a few kits from the Curious Chef line and we finally busted out his fruit and veggie kit which came with his own knife (totally safe for 4 years and up! ), a melon baller, apple slicer, vegetable peeler, and a few other great tools. He was so excited to get to use his knife for the first time so we worked on properly tucking our fingers to make sure we don't cut them. This is NOT an easy task to teach a 4 year old, but he did alright! 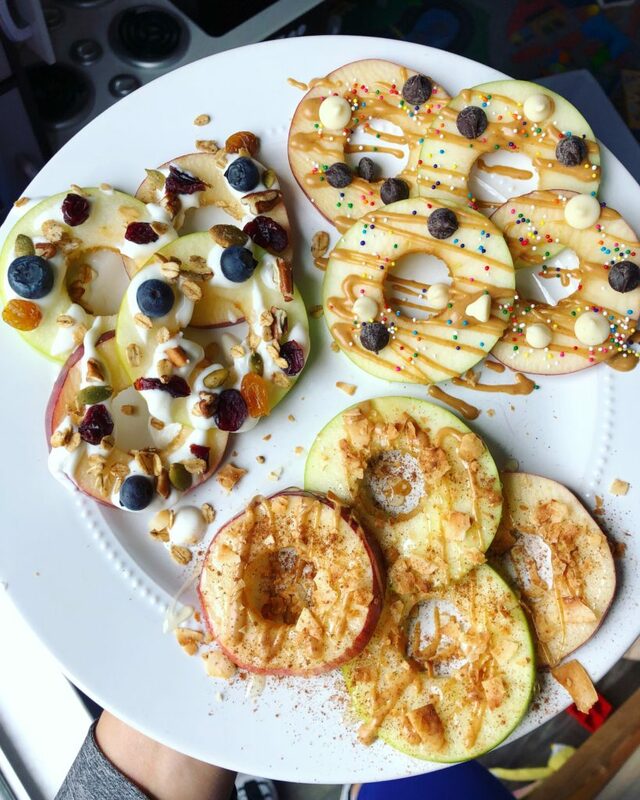 We had two types of apples for our donuts - granny smith and gala. 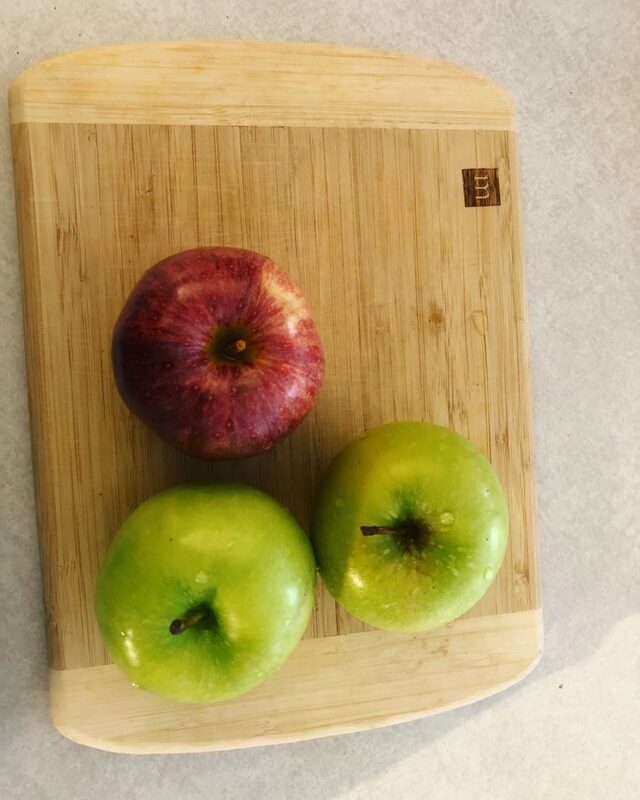 I haven't met an apple variety I don't like but these two are definitely perfect for apple donuts. I used a few different "liquid" toppings to ensure the dry toppings would stick - warmed up peanut butter and almond butter (both placed in the microwave for a few seconds until slightly runny), honey, and nonfat plain greek yogurt sweetened with a little maple syrup). 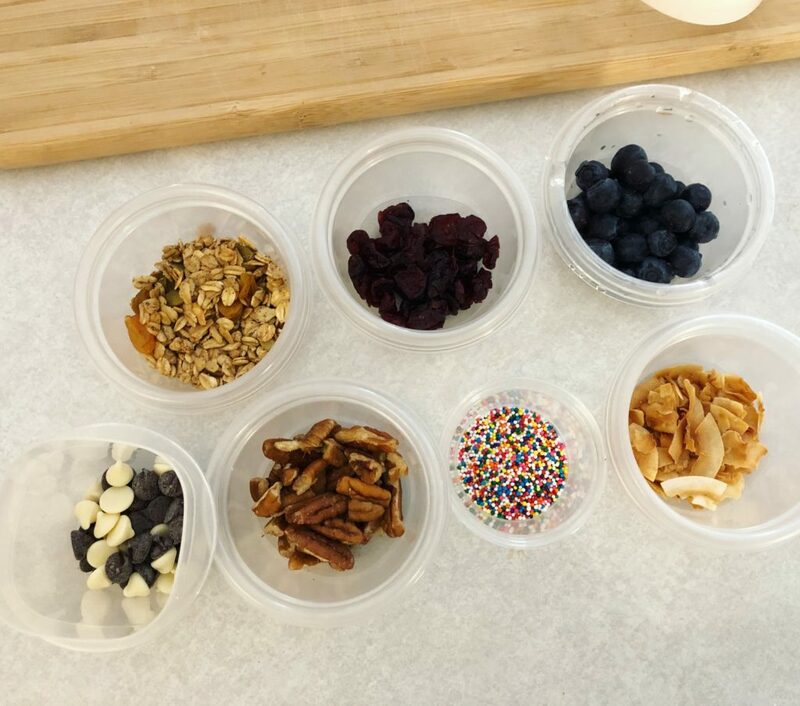 For the dry toppings, I made an assembly line of sorts using small tupperware containers. I filled them with goodies and let the boys decorate themselves. 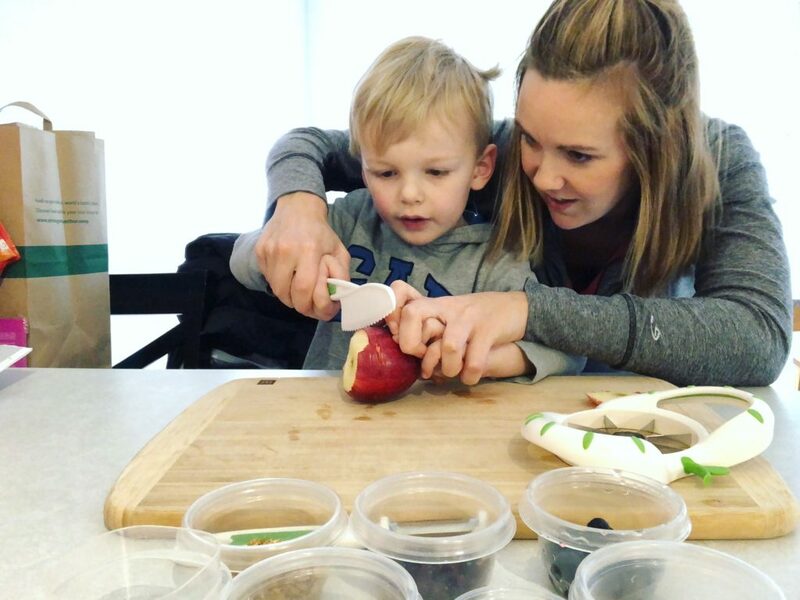 The boys love anything that they get to put together themselves and I love a snack we can feel pretty good about! 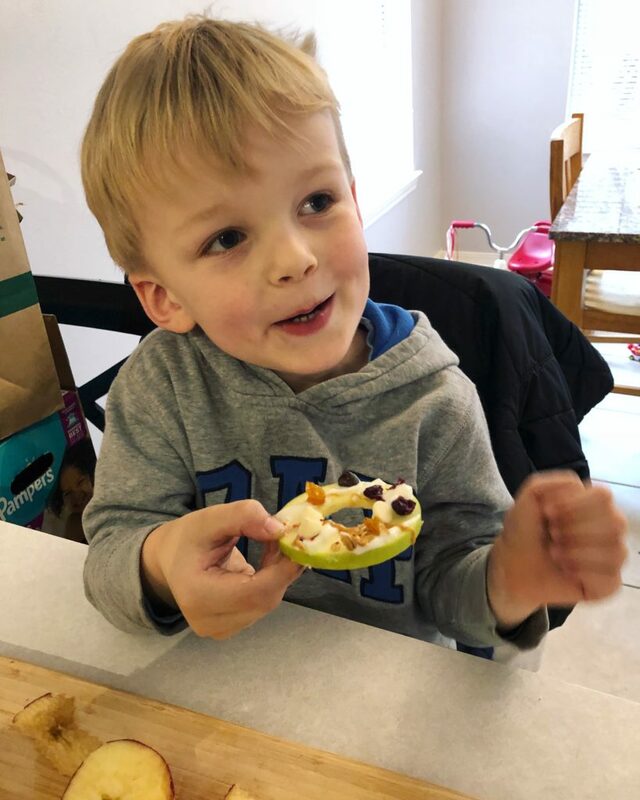 Check out Tom's apple donut that he made below! Ben was a big fan too. All three variations were DELICIOUS, but I think the almond butter and toasted coconut was my favorite. It had the perfect amount of sweetness and crunch! 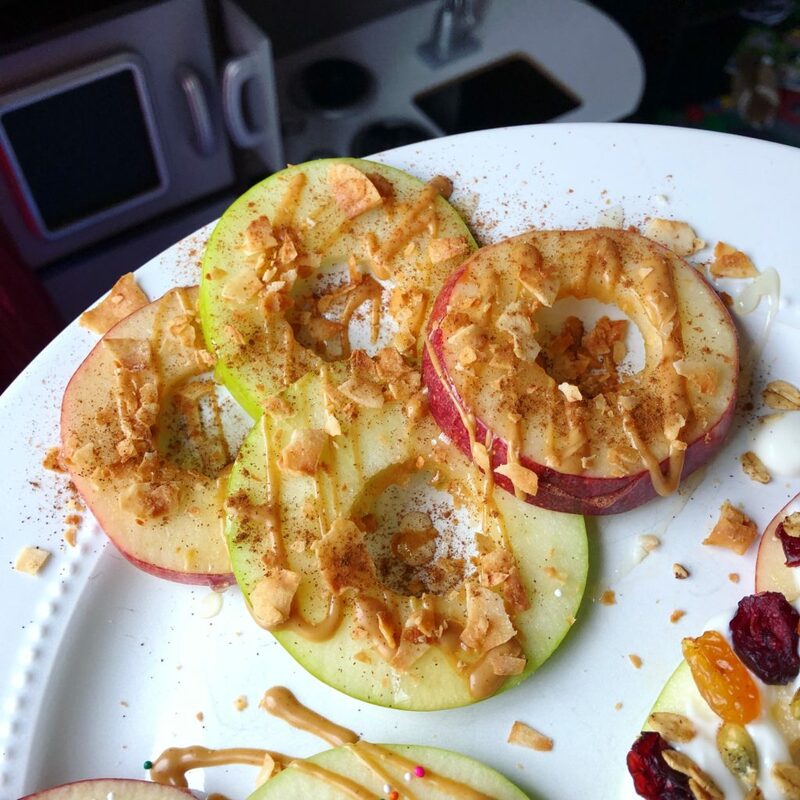 These are great because you can use whatever toppings you have on hand and the apples are so sweet right now you really are getting a treat! 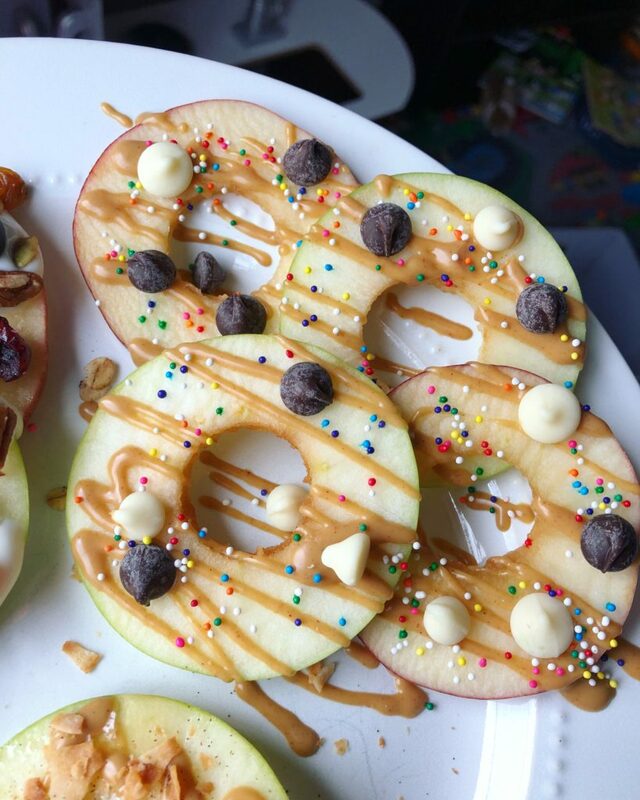 Try out these apple donuts when you're looking for a sweet fix that you can feel good about!